Competition spots in the 2016 Pan American WAKO Championship are at stake; this event will identify the Nayarit boxing team and all participants will also be able to accumulate placement points for international tournaments. 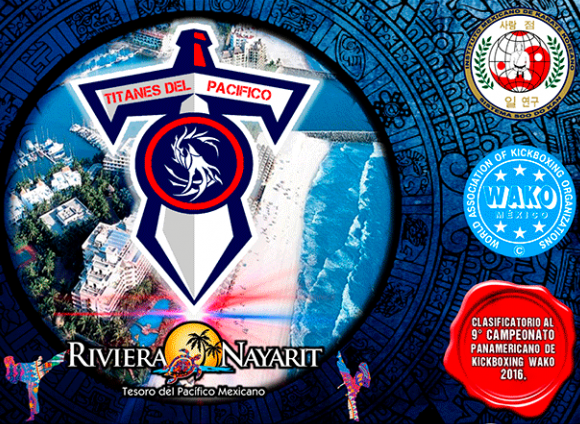 Soodokan and the WAKO Nayarit Kickboxing Association present the 5th “Titans of the Pacific” Martial Arts Championship, which will take place March 18-20, 2016 at the Paradise Village Convention Center in Nuevo Vallarta, Riviera Nayarit. The competition, which includes the participation of 200 martial arts athletes of all ages plus over 500 attendees from 10 Mexican states, has received the full support of the Riviera Nayarit Convention and Visitors Bureau since its inception. Competition spots for the 2016 Pan American WAKO Championship are at stake; the event will identify the Nayarit boxing team and all participants will also be able to accumulate placement points for international tournaments. On the first day competitors will register and weigh in. Competition begins on Saturday at 9 a.m. till nightfall; the official inauguration with the administrative committee will be at noon. This year, Sunday will be a day of relaxation for all attendees. The activities are divided into two separate areas: the Tatami and the Ring. Musical Forms, Weapons Forms, Live Contact, Personal Defense and the highlight event of Points Fighting will take place on the Tatami. Low Kick, K1 and Full Contact Kickboxing will take place in the Ring, as well as Boxing matches. Disciplines include Tae Kwon Do, Kung Fu, Karate, Kickboxing, Muay Thai and Box, among others. General entry tickets sell for a recovery fee of MEX$30 and attendees can expect fun surprises.